Ever dreamed of working for one of the biggest manufacturing plants in the area? Even if you have applied for jobs with them in the past, Pickaway-Ross Adult Education is introducing a new pathway toward fulfilling your dream. 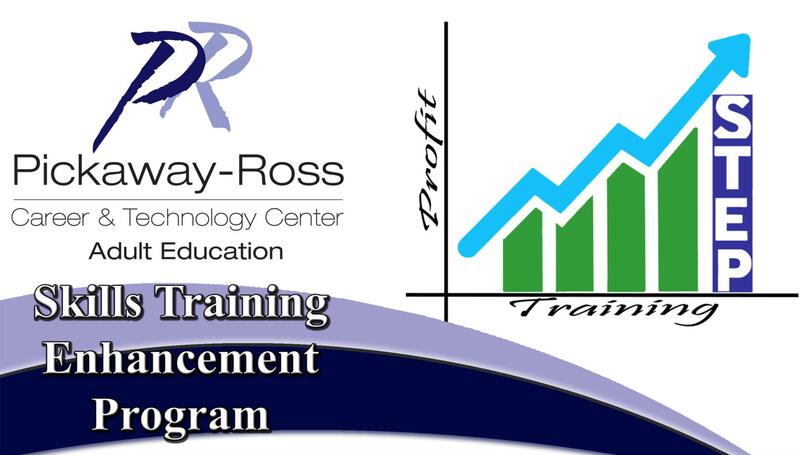 Pickaway-Ross Adult Education in partnership with Platinum Horizon Group has developed a program to teach you the soft skills, the skills that will help you succeed at work and in life. The skills all employers are looking for in their job applicants - even over technical skills. While there are no guarantees of a job directly from this program, (you still need to sell yourself in interviews and application), it is a way to get to that point. This program is a new way to get in the door for an interview. Think about what you could do for yourself and your family with a job that pays top dollar in the area, has full benefits for medical, dental, vision, as well as retirement programs. What changes would that mean in your life? If this describes you – you need to sign up for this program! Click here to see the student brochure for the STEP program. Don't wait, take your first STEP today! Call Jack Everson at (740) 701-7718 or Rhonda Lawless at (740) 642-1365. Click on the image above to download the infosheet for the next class offering.